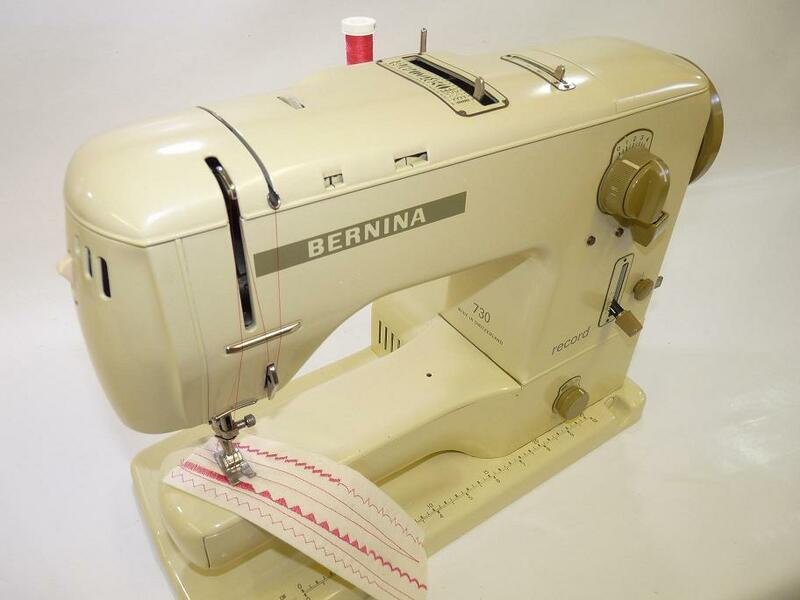 THIS IS A BERNINA 730 RECORD FREE ARM, MADE IN SWITZERLAND, THE ROLLS ROYCE OF SEWING MACHINES. IT HAS A CAST IRON BODY AND HAS BEEN SERVICED AND A SEWING SAMPLE CAN BE SEEN ON THIS MACHINE. 1 SWING DRAWER UNIT TO HOLD THREADS, BOBBINS AND ACCESSORIES. THIS MACHINE HAS JUST BEEN SERVICED AND IS IN GOOD WORKING CONDITION. THE GREEN CASE IS IN GOOD CONDITION AS WELL AS THIS MACHINE. I HAVE NO HESITATION IN SAYING IT WOULD GIVE A LIFETIME OF SERVICE AS IT HAS BEEN LOOKED AFTER. IT WOULD BE IDEAL AS PROPER WORKHORSE FOR A STUDENT PERHAPS OR SOMEONE WHO WANTS TO OWN AN ORIGINAL TOP OF THE RANGE MACHINE.